Inter-school swimming – school team at the Sir Owen Glenn National Aquatic Centre. Camp is over. It was rewarding to see our children provide support to help their fellow students respond to the challenges that are an essential part of camp. Thank you to our adult team of teachers and parents who gave time last week to make the year 5-6 camp experience, such a success. The “You are Us” painted stone project, that a parent Naz Spencer set up, has progressed well. I thank Naz and all of the parents who came to school last week to make this happen. Each child has now painted a river pebble and provided a message promoting kindness and inclusivity. These stones will form a permanent display outside the school hall. I represented our school at the funeral of an ex-student on Saturday. Finn Lowery was an outstanding young man who achieved at the highest levels (eg. Rhodes Scholar, lawyer, ex captain of the national waterpolo team). For many, he will be remembered primarily for his connection with people and his kindness to others. I apologise to any of our immediate neighbours who were disturbed on Sunday morning by a contractor replacing some roofing on a school building. Although the job was approved the timing was not. This should not have occurred at this time and I have made it very clear to the contractor that this is not to be repeated. We have scheduled a number of property improvements during the two-week break. I hope that you are able to enjoy some family time. Kia hikaka, kia māia, kia pono te ngakau. Ryan Li is a new student to our school. Natalie Callahan is a teacher from Missouri who will be learning about how we teach in NZ. She is helping Jan Westerkamp in Room 6 for 8 weeks. If you would like to know more and we have the numbers we’ll run a brief Q & A before the next meeting (at 7.15pm) on 10 April. You could then stay on to observe the meeting if you wanted to. If you are keen to do this, please email Hollyf@mairangibay.school.nz by Tuesday 9 April. 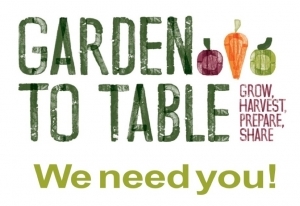 Volunteers wanted for our kitchen and garden programme. Our school is introducing the Garden to Table programme for our Yr 5-6 children in Term 2. It’s an inspiring programme teaching our children how to grow and harvest produce grown in the school garden, to then be prepared and shared in the school kitchen. The lessons will take place on a Thursday between 9.00am and 12.30pm. For this to be successful, we need you! This project relies on the support of volunteers to work with children in the garden and kitchen, sharing their experience, enthusiasm and knowledge. You don’t have to be an expert! Our Garden and Kitchen Specialists are always on hand to provide expert advice and oversee the sessions. You just need to be interested in helping children learn about growing food, cooking and sharing food, and enjoy working with children. Have we talked you into it? We’d love to hear from you! Please contact Siobhan Cooper, Volunteer Co-ordinator at siobhanc@mairangibay.school.nz for more information. Mid Bays Kāhui Ako Performing Arts Festival – all names are registered for this festival at Rangitoto College. It is very important that you turn up each week for practices. If you do not come regularly to practices, you will not know the songs well enough and will be taken off the list. Choir is Thursdays 1.30 pm. This week on 4 April we have a visit from the Rangitoto College choir teacher. Hand Chime Group – open to Year 5-6 students. We meet on Wednesdays 8.30am. If you are interested in being in this group (numbers are limited to 11), then please email and tell me why you should be in this group. Music reading is an advantage. The next PTA meeting is this Tuesday, 2 April, at 7:30 in the school staff room. If you would like to come along and see what we get up to, please feel free – all are welcome. Going forward, the minutes from the latest PTA meeting will be loaded on the PTA link on the school website – https://www.mairangibay.school.nz/pta/. As previously mentioned, our first fundraising initiative is going to kick off shortly. The eldest child from each family will come home next week with a box of Whittakers chocolate to sell. Further instructions will be provided with the box. All proceeds will go towards shade for the junior area. Hours for 2019: Mondays 3 pm. Cash or bank transfer – all items $5 or $10 depending on condition. Notices are put in this section as a service to our community. 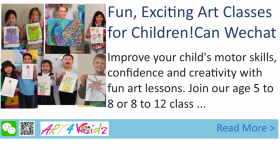 The school does not necessarily endorse these community advertisements and you are advised to check for yourself, the reliability of providers, events, camps, and courses. Pippins is the youngest of the Girl Guiding family and is for girls aged 5 and 6. We help girls to make new friends and grow in self confidence in a fun and exciting way. There are lots of great activities and badges to be earnt. This term alone we have worked our way through 8 badges. If you would like to visit, please email sunnynookpippins@gmail.com . Pippins meet on Thursdays at the Sunnynook Community Centre 4.15-5.30pm on school days. 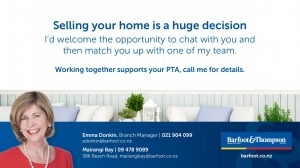 The school will receive $1000 when a 'friend' of Mairangi Bay School sells a property listed as sole agency through Barfoot and Thompson Mairangi Bay. They need to mention this at the time of listing. Please encourage your friends and neighbours to consider this great opportunity. ASB are continuing with the $500 School Sponsorship Voucher, where Mairangi Bay School will be awarded $500 for each customer that mentions our school and this offer when taking out new lending of $250,000 or more. 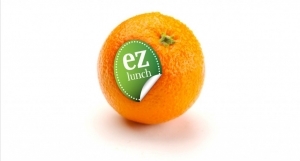 ezlunch provides quality, freshly prepared meals for our school, delivered in time for lunch. 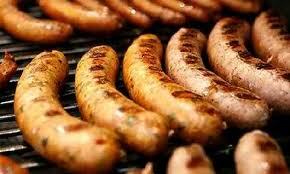 Order online at www.ezlunch.co.nz before 9am. 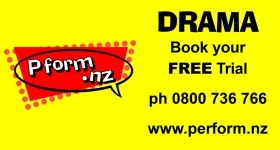 For assistance, phone the helpdesk 09-475 5287 or email helpdesk@ezlunch.co.nz, on school days, 8am-4pm.